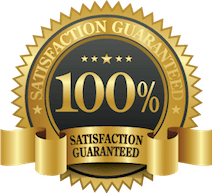 If you are unhappy with your purchase please feel free to contact us immediately – we want you to enjoy and gain benefit from this work. Authentic HEART Speak healing is directing a vibration to the Zero Point within the Heart. This dissolves in minutes the aeons of pain, disappointment, anger and rage of narcissistic behaviours directed at Empaths over generations of time. It is designed to truly heal the heart so SELF LOVE can be experienced as a true and definable state of being. This type of healing can only occur when the person facilitating the healing has achieved this themselves. This is not surface heart awareness - it is not book learnt it is a journey the healer needs to have completed all six soul levels that are also aligned to the six success blueprints the sixth blueprint is the Global Success Blueprint - so this healing is not only healing the pain of wounds it is also preparing the new leaders. Success just IS - when you Authentic Heart Speak. PRE-ORDER .... And Activate your Divine Prosperity Blueprint. Postage within AU included please contact if outside of AU for the price of postage. If Wealth and Success have not matched the dream you have for yourself, then …this book will provide the answers you seek. Step into the Magic and Juiciness of Life #UnLeash your ‘Inner Marketing’ Guru #Identify your Unique SUCCESS Blueprint—A Game Changer #The KEY to THRIVING in this new economy #Why we can NO longer do business in the ways of the past #Transform your Life and Your Relationship to Business & Wealth with Ease … And so much more We can no longer do business in the ways of the past. To thrive in the new economy we need to change our mindsets AND our relationship to money and success – when we do this life becomes brilliant. Life becomes magical and our relationships and business flows with Ease. This is not another book about abundance and prosperity and the Law of Attraction – it is way beyond that level of thinking – This book is opening your potential to create unlimited, magical opportunities and flow with Ease. Consciously aware individuals are more challenged around money & success due to the requirement to transform at extremely deep levels plus release genetic karmic contracts. This work is way beyond the LOA teachings. In personal sessions, we drill down super fast to reveal deep root issues around your Money Mindset. Then you will need to book a Genetic Integration and Emergence Healing session to release transform and heal the Core Money & Success Mindset and that is the final piece of this process to set your Blueprint to Unlimited Money Flow and Success. Never before has this work been offered ... Your Money Vibration IS the New Economy - this level of transformational healing is paramount to you THRIVING. If you have ever thought life/relationships/money were a struggle, then this Program will support you. You will feel calm and centered and your energy uplifted. It is constantly reframing your negative thoughts/feelings and transforming them to the positive without the need to go into the story or painful memory. NOTE: This is a PHYSICAL product and will be sent via mail so please ensure you notify us of your mailing address. I am able to listen to you, hone in on your point of genius and show you how to package those gifts, talents and products into your marketing message so you are coming from your highest potential and vibration in your work. Your Vibration IS the New Economy. This requires bringing ALL aspects into one harmonious arrowhead so it is magnetically attracting people to you. We can no longer do business in ways of the past. Your VIBRATION IS the New Economy. The I AM Cards are designed to keep your vibration high throughout the day. This is the missing link between the Law of Attraction and Success. The concept is: You choose one for each day … and then throughout the day bring your focus back to the statement.